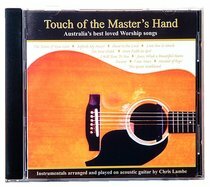 Beautifully arranged instrumental versions of Australia's best-loved worship songs. All performed on acoustic guitar, songs featured include, 'Shout to the Lord,' 'The Power of Your Love,' 'Ancient of Days' and more! About "Touch of the Master's Hand"